For decades, the Hypoglycemia Support Foundation (HSF) has been deeply honored to advocate for people affected by hypoglycemia from around the world. Founded in 1980, the HSF celebrated our 40th Anniversary March 13, 2020 – on the birthday of hypoglycemia pioneer researcher Dr. Seale Harris (born on March 13, 1870) and also to be the first Global Hypoglycemia Awareness Day! We receive no local, state or federal funding; our existence over the last forty years has only been possible due to your generosity and the support of our family, friends, sponsors, partners and community. Published an award-winning book on hypoglycemia with praise from the American Library Association – 5th edition, released September 2017. Provided hundreds of educational presentations, hosted support meetings and health fairs, and lectured at schools, hospitals and businesses. project to study the link between hypoglycemia and juvenile delinquency. Served as champion for over a million patients with misdiagnosed metabolic conditions (e.g., hypoglycemia). Reached millions, forming a global community via the www.hypoglycemia.org website. Served as a pediatric advocate, established the only website dedicated to children suffering from hypoglycemia. Shared inspiration and expertise with the international movement addressing hypoglycemia. Expand focus on metabolic health and nutrition, with hypoglycemia as a priority. from South Florida to San Francisco, California, to Seattle, Washington, and across the U.S. Build a large online presence by offering engaging and impactful educational content. Deepen the capacity of the organizational leadership and infrastructure. Implement year-round fundraising, fully integrated with programs. For more details, please read our 2020 Strategic Vision. For the last four decades, the HSF has provided impactful education and information and prevented tens of thousands from progressing to more serious and painful metabolic disorders that destroy physical and financial well-being. 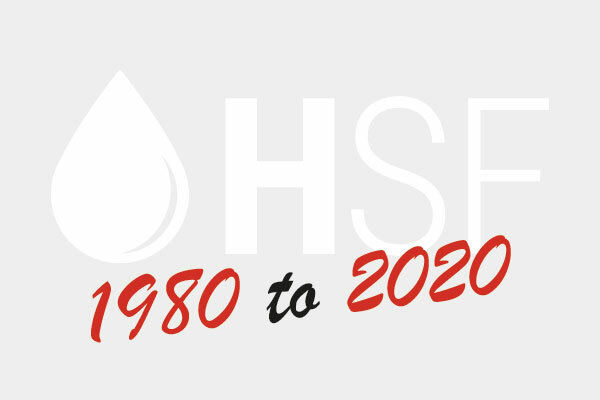 To sustain this legacy and take the HSF to the next level, we forged a 2020 Strategic Vision. One of the challenges in our work is that too few doctors and healthcare professionals have been adequately trained to understand, diagnose and treat the most common, diet-related, form of hypoglycemia. Facing this challenge head on, the HSF is developing the first-ever continuing medical education (CME) course focused on reactive/functional hypoglycemia. Thanks to partnerships that we have forged with leading medical experts and institutions, these programs are launching this year! The financial support you provide is vital for our educational efforts to flourish and for our community to thrive. In 2018, we served in essential leadership roles at several national healthcare conferences, and our website and educational materials reached an average of over 10,000 people per month. In 2019, our goal is to exponentially increase our impact on patients and healthcare providers. Would you please help the HSF to continue to fulfill its vital mission? Please click here to donate to the HSF today!